Some men truly believe that no outfit is complete without a wrist watch. I respectfully disagree. I only own a few watches – none of which cost more than $200 – and I don’t wear one everyday. But I do think every man should own at least one watch. And if you could only choose one, it would be wise to go with something simple, classic and timeless. 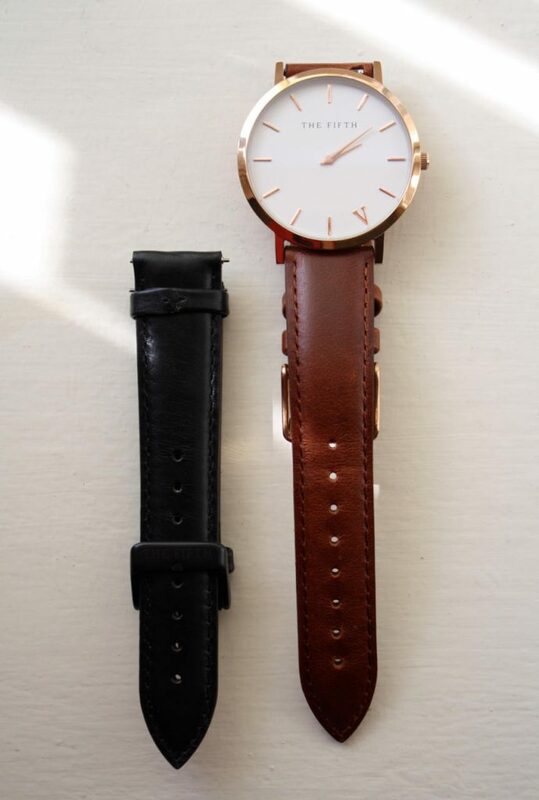 Gentlemen, I’m talking about the plain face, leather strap dress watch. 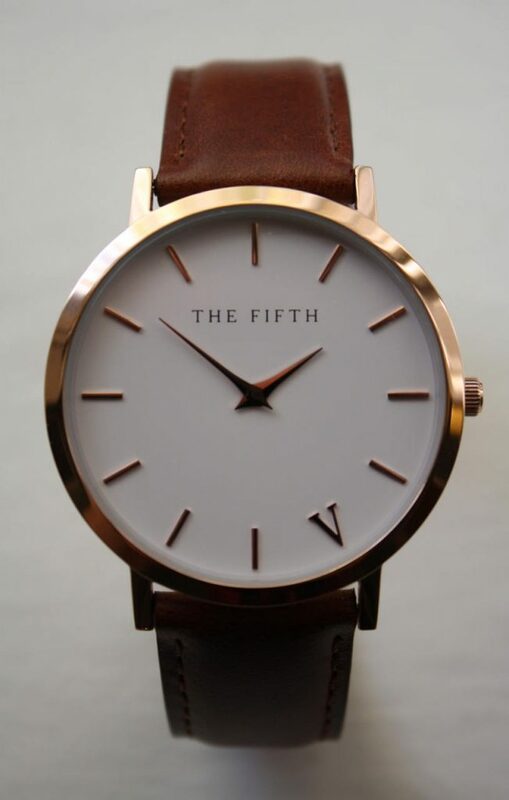 Like Taylor Swift, this watch isn’t going out of style anytime soon. You can opt for black or brown leather. It kind of depends on your shoe and belt collection, since it’s always good to match your watch, shoes and belt. 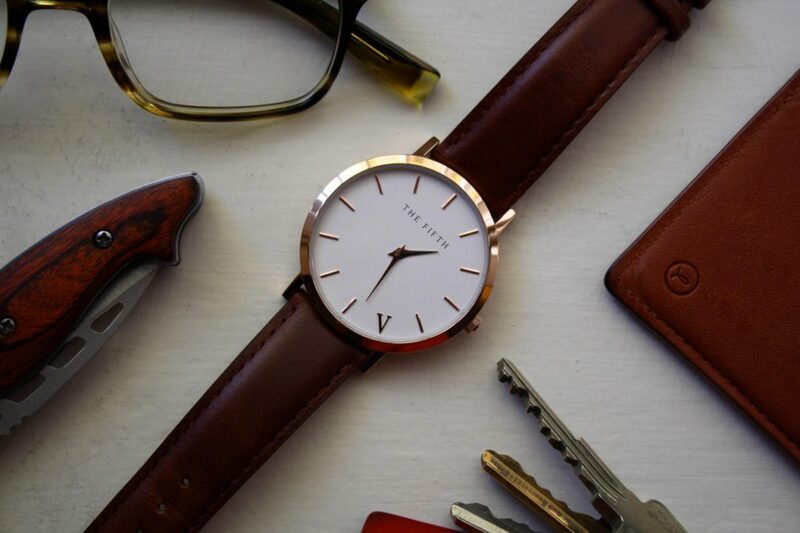 But for most guys, a brown leather watch will be the most versatile choice. In fact, you can almost get away with owning one watch if it’s the right one. 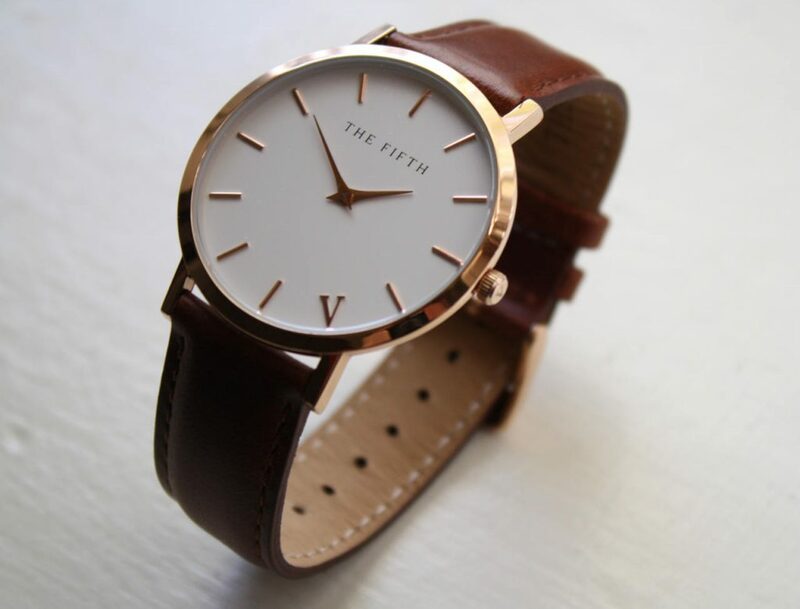 The great thing about a simple watch with a brown leather strap and clean white face is that it looks good dressed up or down. Pair it with a suit, and it looks like a dress watch. Pair it with jeans and a button up, and it’s a sleek addition to a smart casual getup. I recommend going with something a bit dressier, rather than opting for a more casual watch. A dressier watch won’t look too out of place with a casual outfit, but a casual watch can ruin an otherwise formal look. But it’s the size (41mm diameter, 6mm depth) and simplicity of this watch that makes it easy to wear with a variety of different outfits. Note: I prefer gold metal on my watches because most of my belts have gold buckles. If you prefer silver, that’s fine too! To give you some ideas for how to wear this watch, I’ve put together three different outfits. 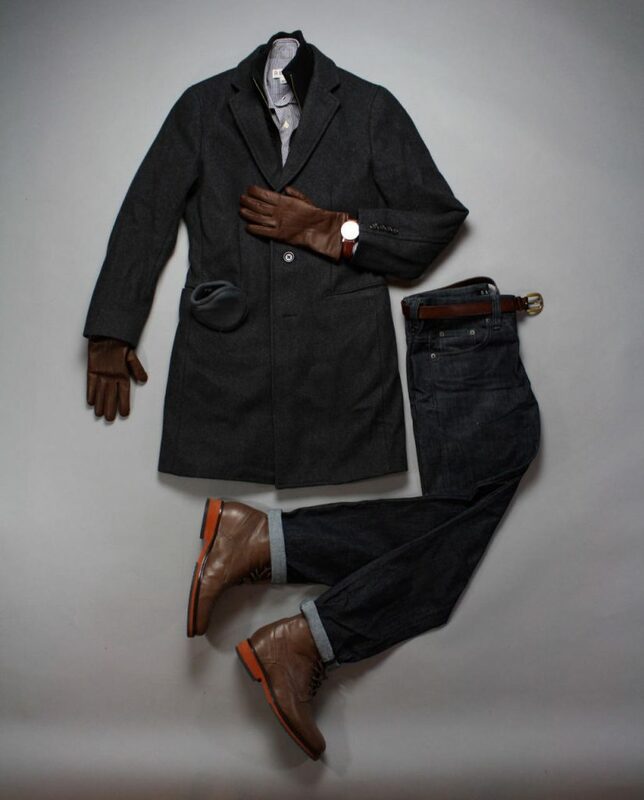 You could go with black instead of brown here – black gloves, belt, boots and watch. But most men already own plenty of brown leather accessories. 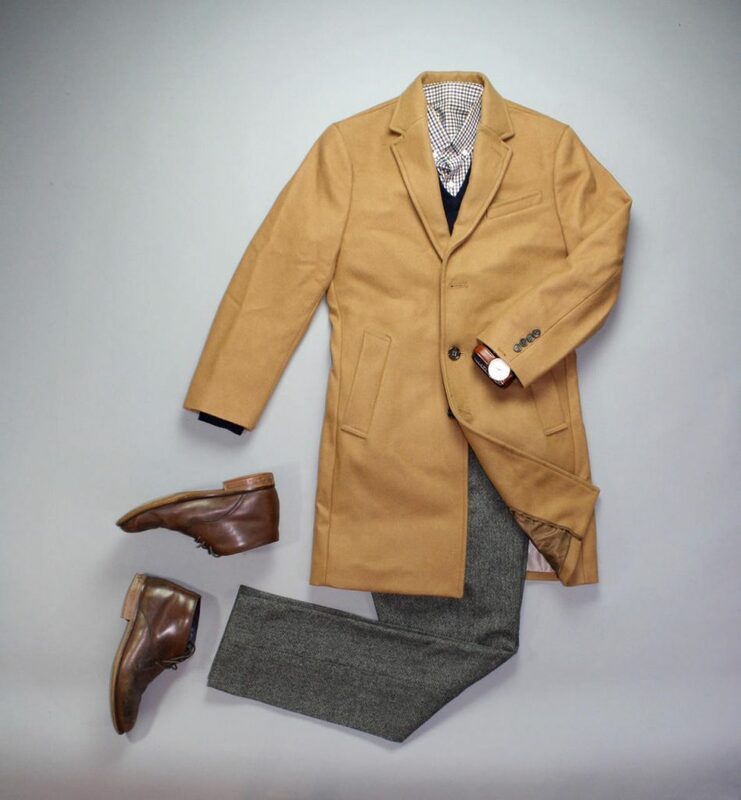 First off, a camel topcoat is a timeless and classy way to differentiate yourself from everyone wearing navy, black and grey outerwear. Second, if you don’t have a pair of grey flannel trousers, get on that! Last, but not least, brown leather ankle boots are just as versatile as a brown leather watch. I know what you’re thinking: “Will this watch work with a suit?” Heck yes it will! This getup exudes that old school cool. The brown and gold and pale blue are just the right amount of retro. In this case, the gold watch face is a great choice. 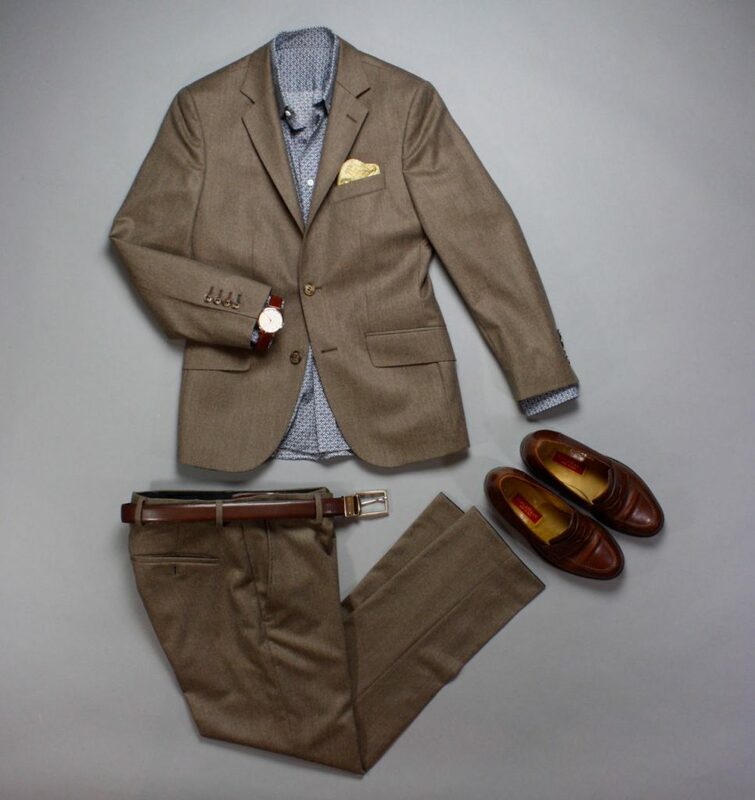 It helps bring out the pale yellow tones of the jacket buttons, belt buckle, pocket square and shirt pattern. Silver would make this outfit less cohesive.